While the dominant business news this week is the devastating announcement that General Motors is closing its Oshawa assembly plant, putting thousands of people out of work, there are also some positive business news stories we are highlighting this week. Every week, our managing editor collects business-related news and events from across the Kawarthas. If you’d like us to promote your business news or event in businessNOW, please email business@kawarthanow.com. Featured this week is arts retailer and creative hub Watson & Lou in downtown Peterborough expanding to include private studio space for artists, Peterborough video game company Canuck Play landing legendary quarterback Doug Flutie as the brand ambassador for its latest football game, and Trent University student Jeremy Brooks winning the 2018 Cubs’ Lair entrepreneurial competition with his virtual reality platform for archaeological sites. Also featured is Peterborough’s Michael Konopaski presenting a donation of $10,000 from Aligned Capital to YMCA Strong Kids Campaign, Fleming College business and tech students available to private and public sector organizations for applied projects, Peterborough heavy equipment manufacturer Quickmill celebrating its 100th ‘Intimidator’, and uranium processing supplier Cameco (with facilities in Port Hope and Cobourg) the runner up for the Ontario Chamber of Commerce’s Corporate Citizen Award. New regional business events added this week include a WHMIS 2015 certification training workshop in Lindsay on November 30th, a customer service workshop for small business in Lindsay on December 4th, a Christmas celebration at VentureNorth and Innovation Cluster Knowledge Partner and Client Showcase Party in Peterborough on December 4th, the Peterborough Chamber PBX Christmas Social on December 4th, and the Peterborough Chamber breakfast meeting on attracting local shoppers on December 11th. General Motors confirmed on Monday (November 26) that it will be ceasing operations at its Oshawa assembly plant in 2019, which is also the location of its Canadian headquarters. The decision is part of a global restructuring plan by the U.S. auto giant to focus on the production of electric vehicles. 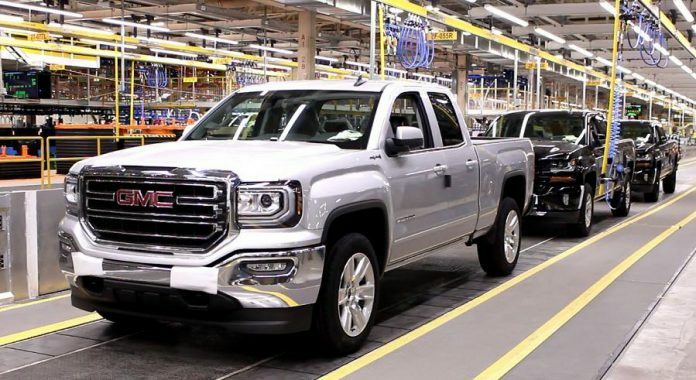 Along with the Oshawa plant, GM will be closing plants in Michigan (Detroit and Warren), Ohio, and Maryland, along with two unnamed plants outside North America. GM’s Oshawa plant — which produces gas-powered cars and trucks — employs just over 2,600 people, including 2,522 unionized workers, many of whom commute from communities outside of Oshawa including Peterborough, Cobourg and Port Hope, and the City of Kawartha Lakes. In addition to the job losses in Oshawa, the closure of the Oshawa plant will have downstream impacts on the auto parts sector and businesses that supply products and services to the workers. Contemporary gift boutique and creative hub Watson & Lou (383 Water St., Peterborough) recently completed an expansion to include a 1,300-square-foot studio space for emerging and established artists. The space includes three private studios and an open-concept screen printing facility with white walls, original wooden flooring, LED lighting, and large windows. Watson & Lou was launched in 2017 by owners and operators Erin Watson and Anna Eidt. The store sells prints, ceramics, stained glass, textiles, handmade jewellery, all-natural body products, kids items, home decor, and small furniture pieces. 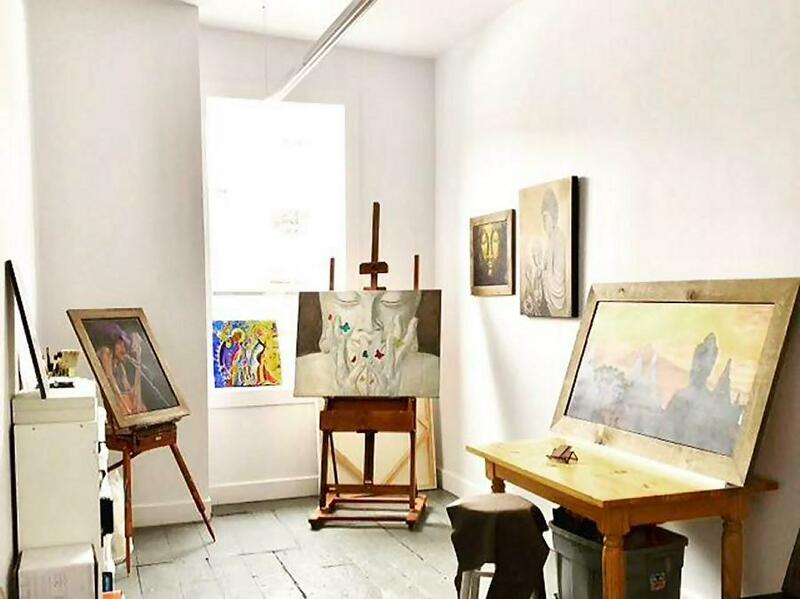 In addition to the private studio space, Watson & Lou hosts a wide range of workshops in its main floor shared studio space. Watson & Lou is currently accepting applications for one private studio available on December 1st. Interested artists can email hello@watsonandlou.com for details. Peterborough-based Canuck Play, a video game company that developed the first Canadian football game on the market in 2017, has announced former quarterback Doug Flutie will be a brand ambassador for the company’s latest game franchise. 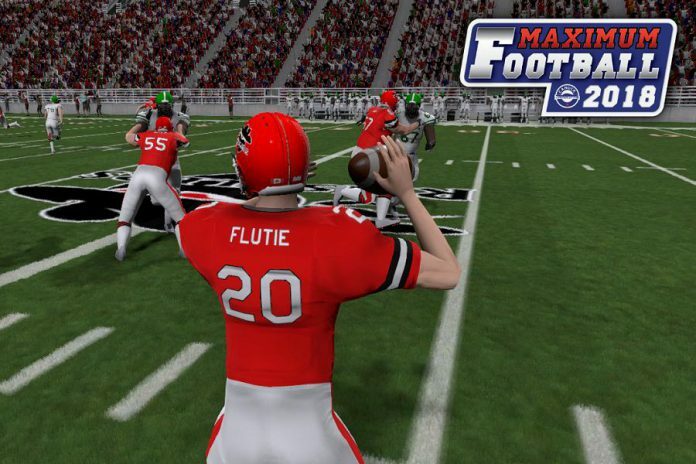 Maximum Football is the only video game me on the market that allows gamers to play with US College, Canadian, and U.S. professional styles of play. Doug Flutie’s Maximum Football will feature Flutie as a playable character and include multiple new game play features. 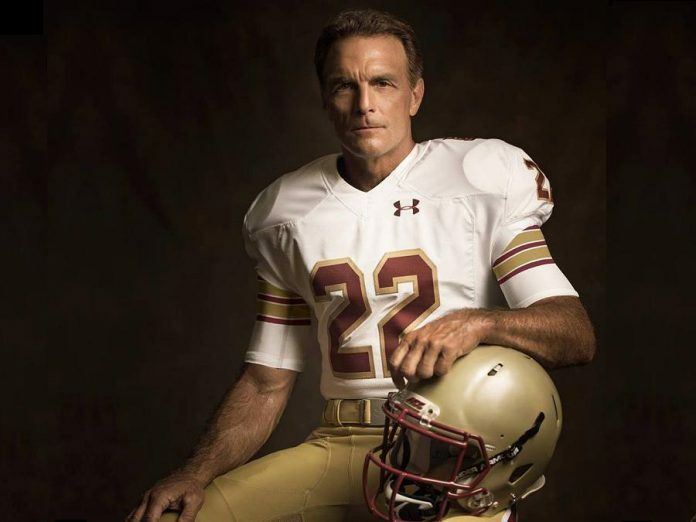 Flutie is a former quarterback in the NFL, CFL, and United States Football League. He first rose to prominence during his college football career at Boston College, where he received the Heisman Trophy and the Davey O’Brien National Quarterback Award in 1984. He played for the CFL in the 1990s, when he led the Calgary Stampeders to a Grey Cup victory in 1992, and the Toronto Argonauts to back-to-back Grey Cup victories in 1996 and 1997. He returned to the NFL in the late 1990s until his retirement in 2006, after which he served as an analyst and colour commentator for American television networks. 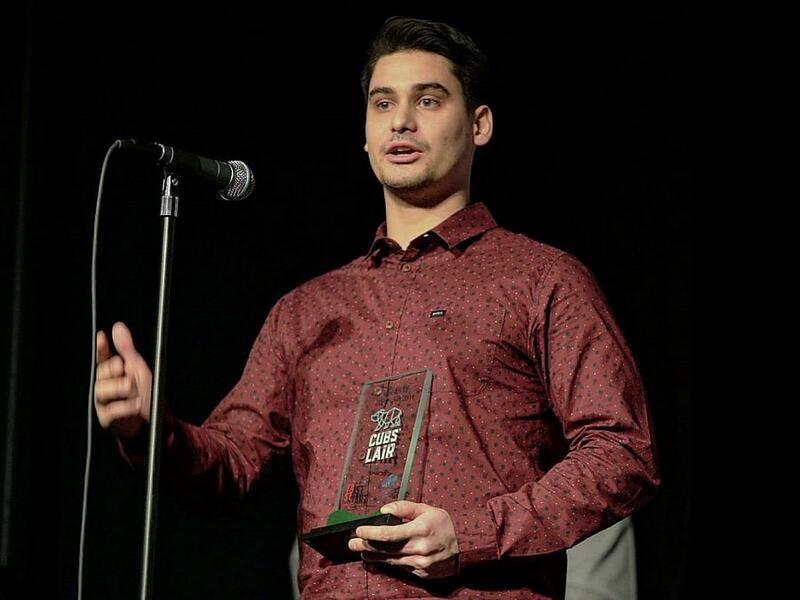 Jeremy Brooks, an archaeology graduate student at Trent University, has won the 2018 Cubs’ Lair entrepreneurial competition, held last Thursday (November 22) at the Gordon Best Theatre in downtown Peterborough. Brooks won the grand prize package, valued at more than $10,000, for AVROD (Archaeological Virtual Reality Online Database), which turns remote archaeological sites into an interactive virtual reality experience for students. The runners up were Dylan Trepanier of Alexander Optical, a health care service provider that organizes pop-up mobile exams clinics, and Noah Latendre of Dillon Ahola of Opened Minds, an inclusive clothing line. Peterborough’s Michael Konopaski, CFO of Aligned Capital Partners Inc., presented a cheque for $10,000 on behalf of Aligned Capital to the YMCA of Central East Ontario last Friday (November 23). 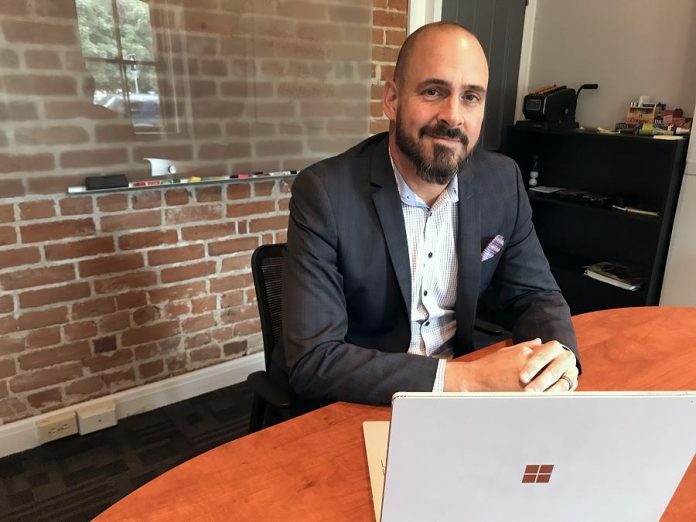 Aligned Capital Partners Inc. is an investment firm based in Burlngton that has its roots in a Peterborough company co-founded by Konopaski and his father. The YMCA Strong Kids Campaign helps children, teens, and young adults participate in local YMCA programs they typically wouldn’t have access to due to limited financial resources. Aligned Capital’s $10,000 donation to the YMCA of Central East Ontario edges the local 2018 campaign much closer to its $267,000 goal. Konopaski is also Managing Director of Inclusive Advisory, a multi-disciplinary partnership of accountants, financial advisors, and lawyers based at 521 George Street North in downtown Peterborough. The Applied Projects program at Fleming College is looking for private and public sector organizations who can provide experiential learning projects to senior students in its business and technology programs. Examples of projects could include developing marketing plans, international and global business strategy, project management, event planning and management, sporting goods management, blogging and social media, database management, website development, mobile app development, and more. While there are no fees charged for student work, the sponsoring organization must cover other costs associated with the project (tools, materials, software) and operational expenses (travel, printing, communications). The projects would ideally start in January and be completed in April. The deadline for proposals is November 29, 2018. For more information and to submit a proposal, visit flemingcollege.ca/applied-projects. Large-part gantry milling and drilling machine builder Quickmill (760 Rye St, Peterborough) is celebrating the 100th build and sale of its ‘Intimidator’ large part machining centre. Quickmill president and CEO Jeff Driscoll is hosting a special celebration today (November 24) at the company’s Rye Street head office and production facility to recognize the team of 30 engineers and technicians who produce the company’s machining centres. At the celebration, the company will hand over the machine to its new owner — an expanding Canadian company — and a 100th machine decal will be affixed to the actual machine. 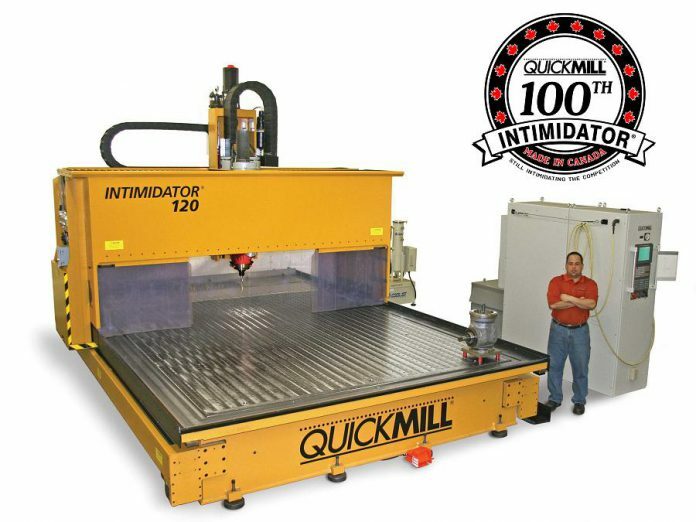 Quickmill’s origins began in 1984 when founder David Piggot, inspired by a need for innovation in his small machine shop, designed and manufactured a heavy-duty large table gantry drilling machine, now trademarked as The Intimidator. The machining centre is used for applications such as large heat exchanger manufacturers, where millions of holes are drilled on manual radial arm drills. Each Intimidator is valued at between $500,000 and $750,000, and is used in other industry sectors including oil and gas, structural steel service centres, and bridge construction. The Ontario Chamber of Commerce (OCC) hosted its annual Ontario Business Achievement Awards in Toronto last Wednesday (November 21). The OCC received over 350 nominations in seven categories, and one of the finalists in the Corporate Citizen Award was Cameco, a major supplier of uranium processing services required to produce fuel for the generation of clean electricity. 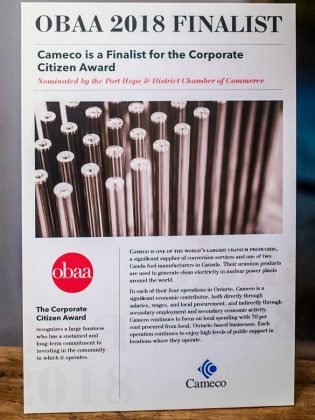 Cameco, which has a conversion facility in Port Hope and a fuel manufacturing operation with locations in Port Hope and Cobourg, was nominated by the Port Hope and District Chamber of Commerce. Cameco focuses on local spending in the locations where it operates, with 70 per cent procured from local Ontario-based businesses. The OCC Corporate Citizen Award, which recognizes a large business that has a sustained and long-term commitment to investing in the community in which it operates, was awarded to Hydro Ottawa with Cameco the runner up. Local consulting firm Laridae is hosting a free seminar on emerging issues in human resources law at 9 a.m. on Tuesday, November 27th at the Peterborough Golf & Country Club (1030 Armour Rd., Peterborough). The seminar, exclusively for local non-profit and public sector leaders in Peterborough, will feature guest presentations from Kingston-based law firm Cunningham, Swan, Carty, Little & Bonham LLP. The spotlight will be on the latest in workplace issues, including cannabis, the #MeToo movement, and employee terminations. The seminar is free to attend and will include a continental breakfast. For more information and to RSVP, visit laridaemc.com/workshops. The Bobcaygeon Chamber of Commerce is holding its annual general meeting at 7 p.m. on Tuesday, November 27th in the upper level meeting room at the Bobcaygeon Service Centre (123 East St. S., Bobcaygeon). Join the Chamber for a review of 2018 and to find out what’s being planned for 2019. There will be guest speakers from Kawartha Lakes Economic Development, City Council, and Impact 32. Light refreshments will be included. Member and non-members are welcome to attend. The Peterborough Chamber of Commerce is hosting Business Summit 2018, a half-day conference focused on strengthening business, from 7 to 11:30 a.m. on Wednesday, November 28th at Ashburnham Funeral Home (840 Armour Rd., Peterborough). The summit will include opening remarks from Peterborough Mayor-elect Diane Therrien, who will then participate in a panel discussion on planning for the future along with Paul Bennett of Ashburnham Realty and Dave Haacke of DNS Realty. Attendees can then participate in two of four workshops: “Challenges, Opportunities, and Innovations” on the labour shortage or “Building a Cyber Resilient Business” and “Digitize Now – Transforming Your Business” or “Building a Marketing Plan”. The cost is $25 for Chamber members or $35 for non-members, and includes a breakfast buffet. For more details on the workshops and to register, visit peterboroughoncoc.wliinc20.com/events/Business-Summit-2018-637/details. The Lindsay & District Chamber of Commerce and Kawartha Lakes Small Business & Enterpreneurship Centre are hosting a Workplace Hazardous Materials Information System (WHMIS) 2015 certification training workshop from 10 a.m. to noon on Friday, November 30th at the Lindsay Public Library (190 Kent St. W., Lindsay). Lavender Health & Safety Consulting will be providing a comprehensive WHMIS 2015 certification course developed in accordance with the Government of Canada’s 2015 Hazardous Products Act for the training of anyone who manufactures, works with, or is in proximity to hazardous materials in the workplace. Taking the course will provide you the information needed to learn about the WHMIS 2015 standard and work safely while handling hazardous materials in the workplace. The cost for the workshop is $25 per person. To register or for more information please, contact Manley Lavender of Lavender Health & Safety Consulting at 905-447-6226 or alavender64@gmail.com. The Port Hope Chamber of Commerce is hosting a coffee break event with Northumberland-Peterborough South MPP David Piccini from 12 to 1 p.m. on Friday, November 30th in the council chambers at Port Hope Town Hall (56 Queen St., Port Hope). MP Paccini will be updated Chamber members on the repeal of Bil 148 and Bill 47, the new “Making Ontario Open for Business Act”. This free event is only open to Chamber members. The Haliburton Highlands Chamber Chamber of Commerce is hosting a breakfast and networking event with Haliburton-Kawartha Lakes-Brock MP Jamie Schamle from 7:30 to 9 a.m. on Tuesday, November 4th at Camp Medeba (1270 Kennisis Lake Rd., West Guilford). The cost is $20 for Chamber members and $25 for non-members. Kawartha Lakes Small Business & Entrepreneurship Centre is hosting a “Creating a Positive Customer Experience” small business workshop from 3:30 to 6:30 p.m. on Tuesday, December 4th in the lower level meeting room at the Lindsay Public Library (190 Kent St. W., Lindsay). Facilitated by Sandy Greenberg (serial entrepreneur, business coach, and former business advisor at Centennial College Centre of Entrepreneurship), the workshop will cover customer relations best practices, including knowing how to identify what the customer wants and expects, understanding the benefits of a strong brand that all employees feel connected to, and how to surprise customers with an unexpected and positive experience in every situation. The cost of the workshop is free, but registration is requested at www.eventbrite.ca/e/creating-a-positive-customer-experience-small-business-workshop-tickets-52018411469. VentureNorth — home to the area’s economic development organizations and more — is hosting a Christmas celebration from 3:30 to 5:30 p.m. on Tuesday, December 4th at 270 George Street North in downtown Peterborough. There will be a decorated Christmas tree in the main lobby, Christmas music, and refreshments and beverages catered by “The Edison” by Amuse Coffee Co. Following the celebration, the Peterborough Region Angel Network, will also be hosting an Innovation Cluster Knowledge Partner and Client Showcase Party from 5:30 to 8:30 p.m. at The Venue (286 George St. N., Peterborough). 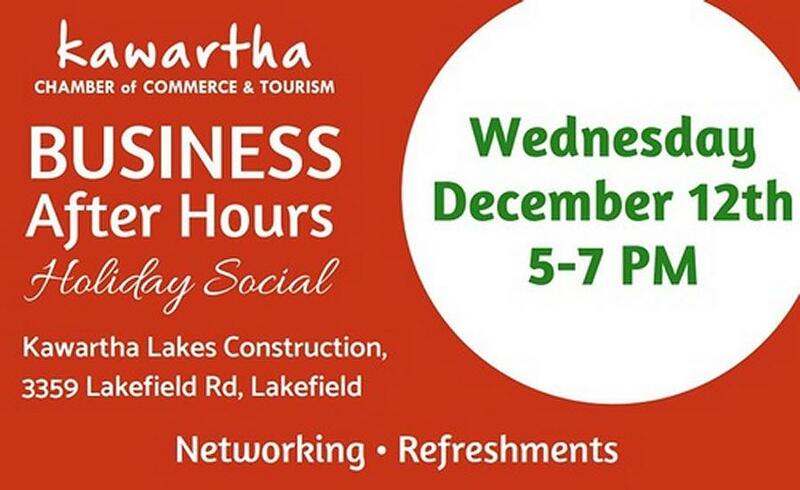 The Peterborough Chamber of Commerce’s PBX (Peterborough Business Exchange) is hosting a Christmas social from 4 to 6 p.m. on Tuesday, December 4th at the Holiday Inn – Peterborough Waterfront (312 George St. N., Peterborough). The PBX event is a great opportunity for the business community, employers, consumers, and community agencies to make valuable connections. The event is free and everyone is invited to attend. The Peterborough Chamber’s next breakfast meeting takes place from 7 to 8:30 a.m. on Tuesday, December 11th at Carousel Restaurant & Tavern (116 Lansdowne St. E., Peterborough). Terry Guiel, executive director of the Peterborough Downtown Business Improvement Area (DBIA) will speak on the top “Santa Keeps it Local – How to Attract Local Shoppers”. Networking begins at 7 a.m., with breakfast served at 7:30 a.m. (when you can make your best 30-second elevator speech to the room), followed by the guest speaker at 8 a.m. The event is free (you only pay for whatever you order for breakfast). The Kawartha Chamber of Commerce & Tourism is hosting its Business After Hours Holiday Social from 5 to 7 p.m. on Wednesday, December 12th at Kawartha Lakes Construction (3359 Lakefield Rd., Lakefield). As part of the event, the team at Kawartha Lakes Construction will be again be running their employee contest for do-it-yourself Christmas trees, where they challenge staff to come up with creative Christmas trees and have guests vote on their favourite. Kawartha Lakes Construction will also be collecting toys for the Lioness Club Toy Drive, as well as non-perishable food items for the Lakefield Food Bank.